FULL SIZE OF THE YEAR 2018 VOTE HERE!!!!! Welcome to FULLSIZE BRONCO OF THE YEAR for 2018 !!! This year’s winning Bronco will also be displayed on the F.O.T.Y. 2019 FSB Forum Theme/Banner & Home Page!!! *** This poll will automatically close on Dec. 16th, 2018. F.O.T.Y. Contestants & Members, please remember that you have all agreed to FOLLOW the: RULES FOR F.O.T.M./F.O.T.Y. BikerPepe`, miesk5, itwasFREE!!!! and 2 others like this. Last edited by Quader1; 12-01-2018 at 11:18 AM. wait am I at the wrong Rodeo? 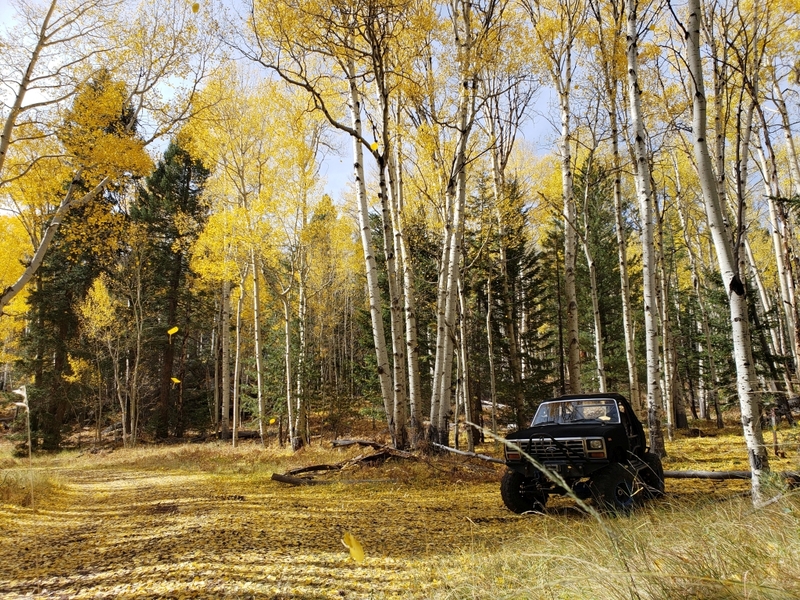 Oooooooh I get it you all are still out on the trail capturing some really cool shots of your Rigs in Action. You all got some photo bomb shots for us. oh boy oh boy oh boy. BigBlue 94 and sackman9975 like this. Ok folks, I will get started. 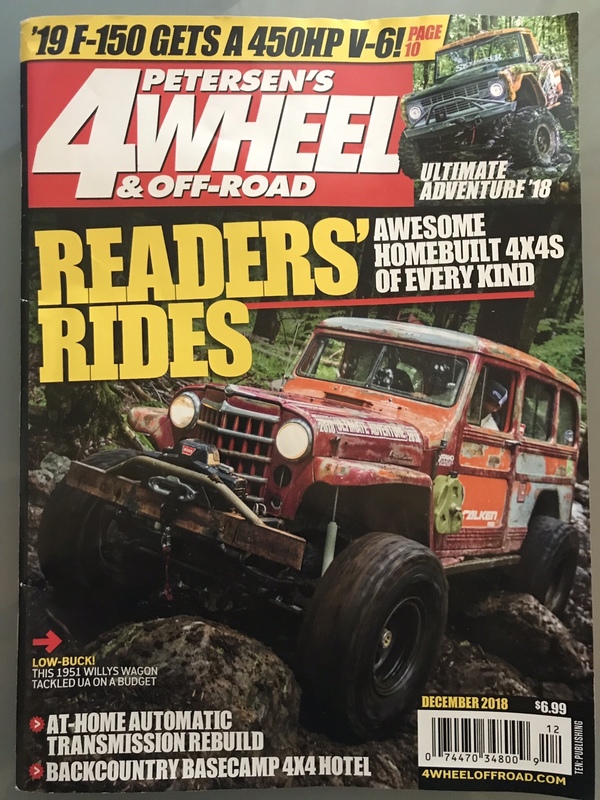 As many of you may know, I applied for Peterson’s 4wheel & off-road ultimate adventure 2018. While I wasn’t selected (and probably a good thing for several reasons), I was a “finalist” aka the Dirty Dozen. This month’s issue of the magazine covered the second half of UA2018 as well as the Dirty Dozen. While the magazine has become second fiddle to online media, it is still cool to see my rig on the glossy pages! 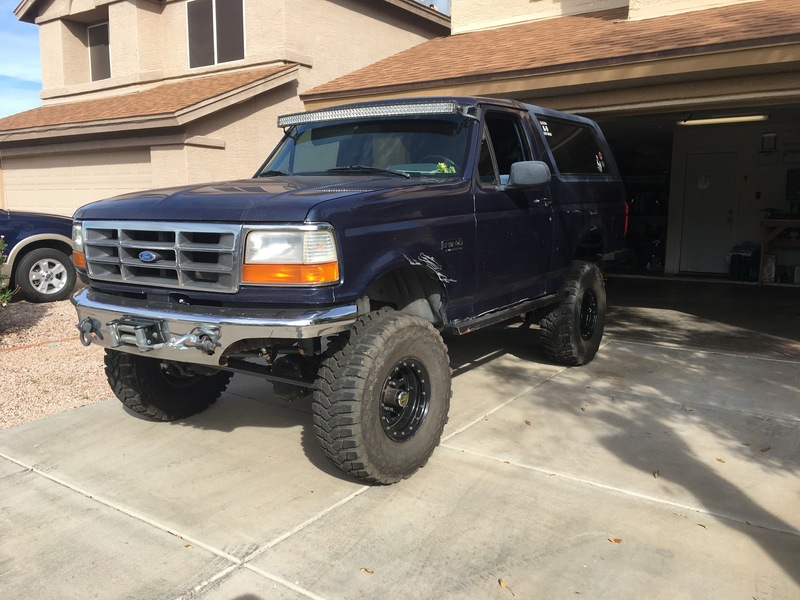 BikerPepe`, 96bronco, BigBlue 94 and 11 others like this. I'm out celebrating tonight, so I better not post anything too long, or I'll regret it in the morning. Some of you know what I'm talking about, don't you? 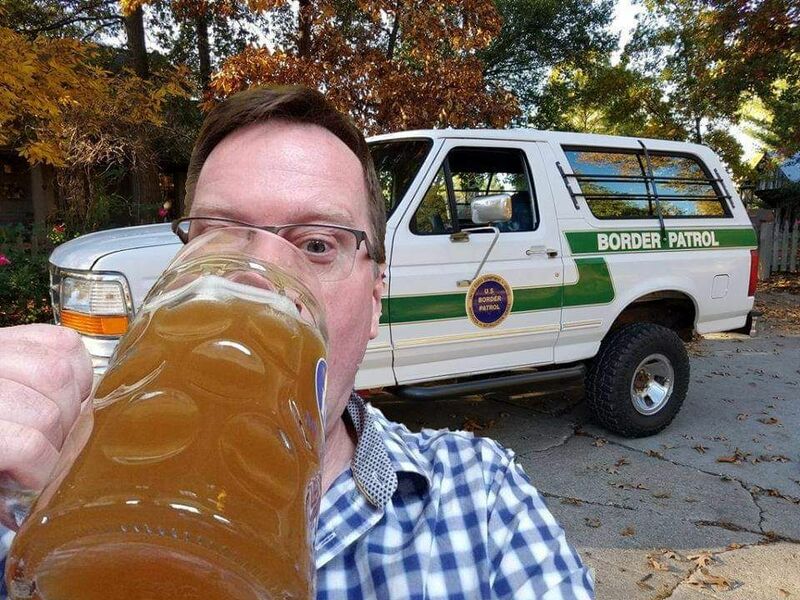 Anyway, I've got a very long and very cool story about my retired USBP vehicle, and I hope you enjoy it. We'll start tomorrow, depending on how tonight goes. White Dragon and cstrike like this. Haha! We're gonna have so much fun this month, brotha! I did get tossed from the hoffbruau house! 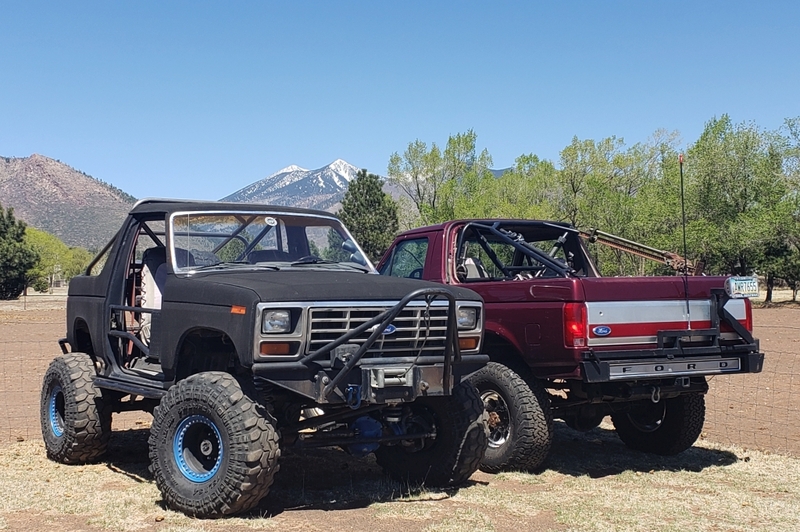 Hey all, I have been busy this week trying to get my grocery list of Bronco stuff done in time to bring a different project in so hopefully I can keep you entertained for a the full stretch. When we left off in September I started the rear end so we can start on that but first a teaser! Okay Its late so Im keeping it short, I bent my 8.8 over a year ago and spun the plug welds right out of it. At the time I really didn't think much into how bad it was, so I heated up the cast welded up the tubes and slowly let it cool. 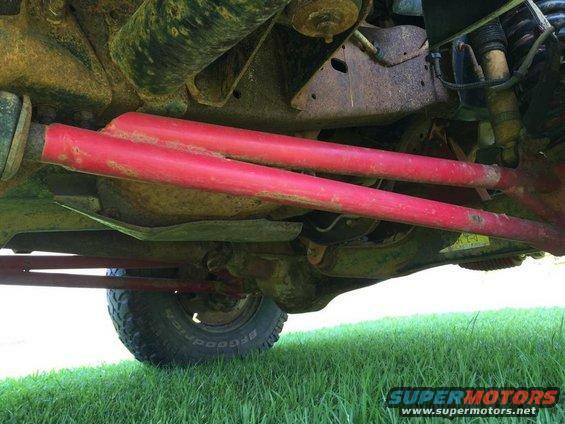 To this day the welds have held up but I really should've used a jig or axle bar to be sure it was straight... Either way since the SAS was done I knew I would revisit the rear end/ suspension so here we are! It was about mid September I went down to the local pick-a-part and swiped this 8.8 out of a F-150. Now moving forward I wanted to do this one once and right, so after browsing around I came up with the Barnes4x4 8.8 truss. 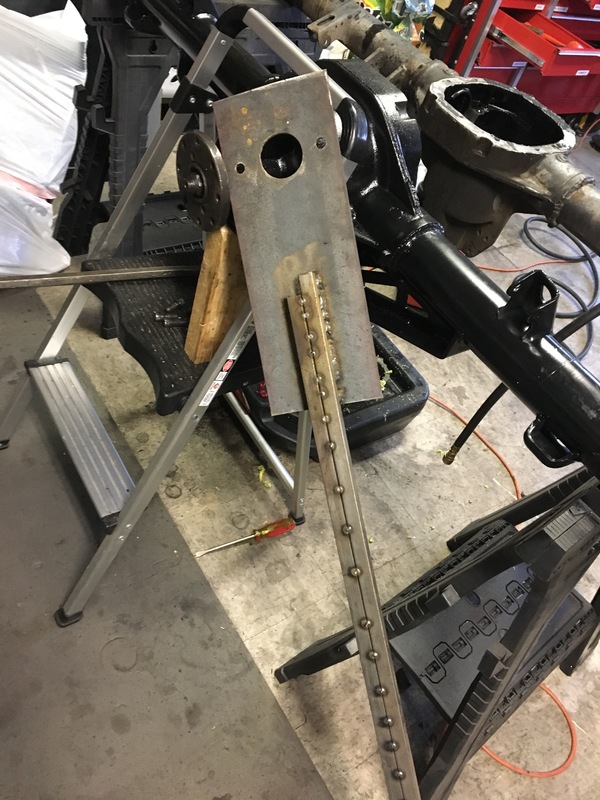 This unit was unique to me since it utilizes the 3 existing holes on the center section of the 8.8 for extra support in addition to the large cross brace.This axle also got a set of US alloy chromoly axle shafts! No c-clip eliminators but certainly peace of mind since I drive my rig from home to trail and back every trip. I am so happy to be here in this contest with a great group of trucks. This is going to be a exciting contest and as said above, a lot of fun! @deathmobile2 I am jealous of your spread in 4WOR! I’ve been an avid reader of that magazine since I was 16 (I’m 41 now) and have never progressed past reader’s rides. Nice job, I recognized you the moment I opened up that issue! And the view from the cab…. I love how my front stinger is visible from the driver seat. It feels like crosshairs in traffic! 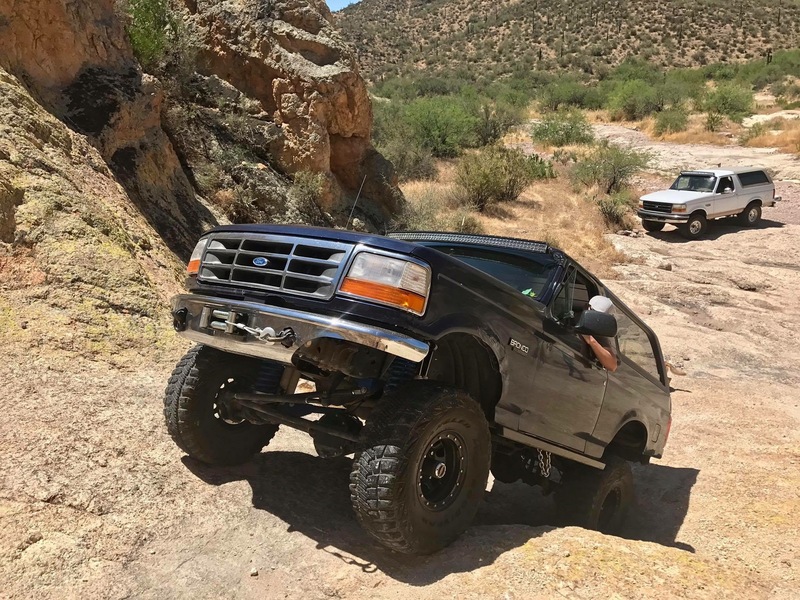 First, I'm really honored to be a part of this contest and a little overwhelmed to be included in this group of really cool off-road rigs! The love of the "breed" and mechanical abilities of you guys is truly amazing. I've been attending SEMA the last few days, where some of the best builds in the world are on display, but we all know that they're built by pros and not "real" vehicles. 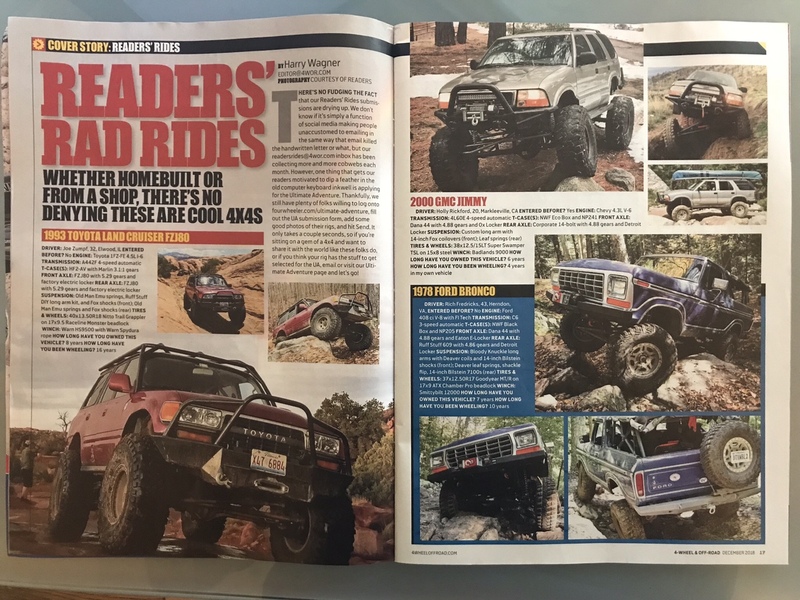 Although they're great, I honestly enjoy seeing & reading about the rigs here, which are used hard & loved and enjoyed like a member of the family. THAT's what I like about FSB. 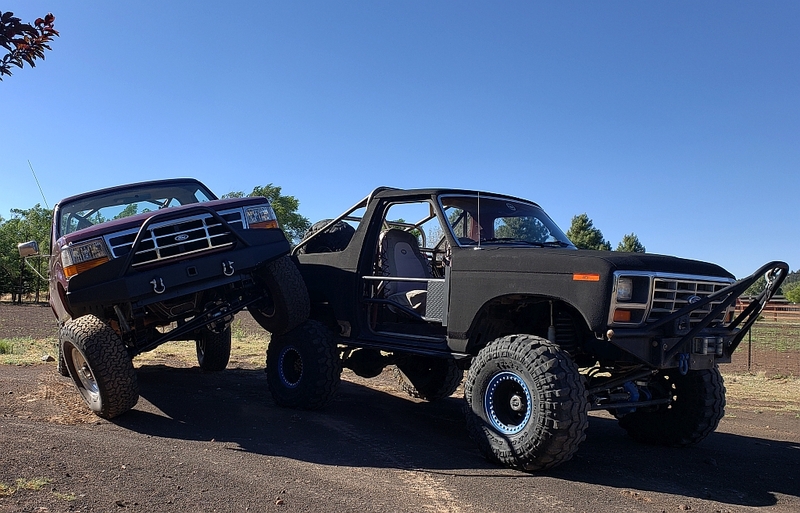 I’ve always enjoyed following the FSB competitions, but to be honest I never thought my Bronco would have wide enough appeal to be competitive, and winning July was a surprise to me. You have to admit, it’s not the typical rig that you see in here, and my goals for it aren’t what most would do. So this probably won’t be the most appealing rig to many people. Despite the long odds, I'm joining in on the fun & sharing why I think this is just about the best Bronco in the world. To me, this is a time machine. Nearly 23 years ago, I was the one packing everything I owned and traveling thousands of miles for a new opportunity. But instead of breaking the law, I was charged with enforcing it. I was a probationary agent, eager & fresh out of the academy, in a career that a few years earlier I never even knew existed. I worked "swing" shift, which gave me a little bit of daylight & a whole lot of night activity. 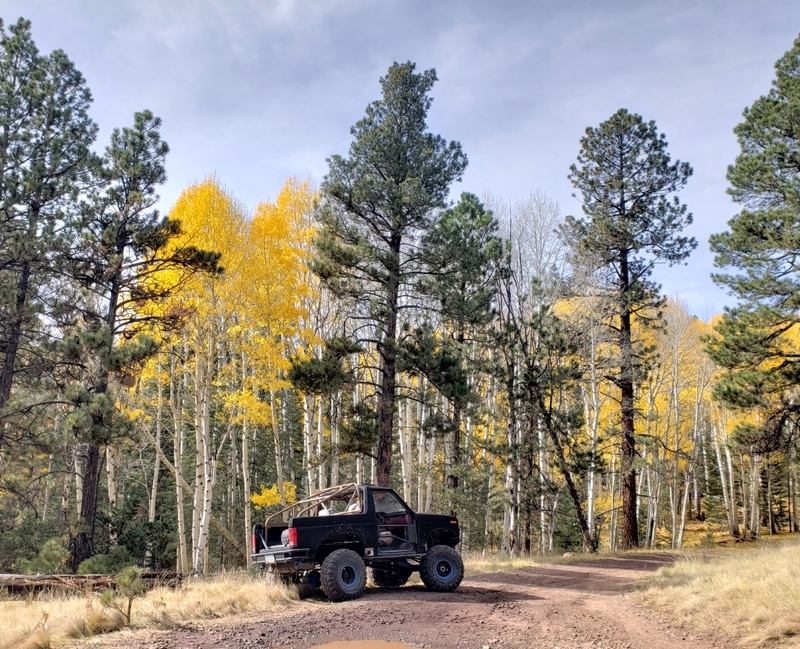 Every day at 3pm, I went to the "muster" and listened to the daily shift briefing, checked out a shotgun or rifle, and grabbed the keys to my Bronco before leaving the compound and driving out to my assigned area of the border. 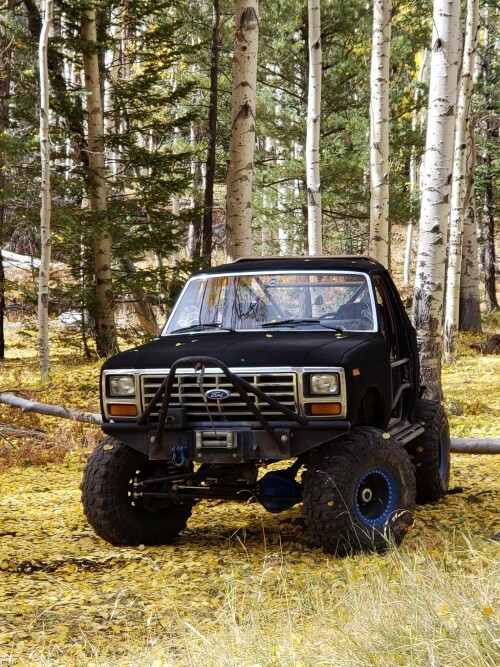 Most everyone here has an attachment to their Bronco and a story to tell, and that's what makes them cool! 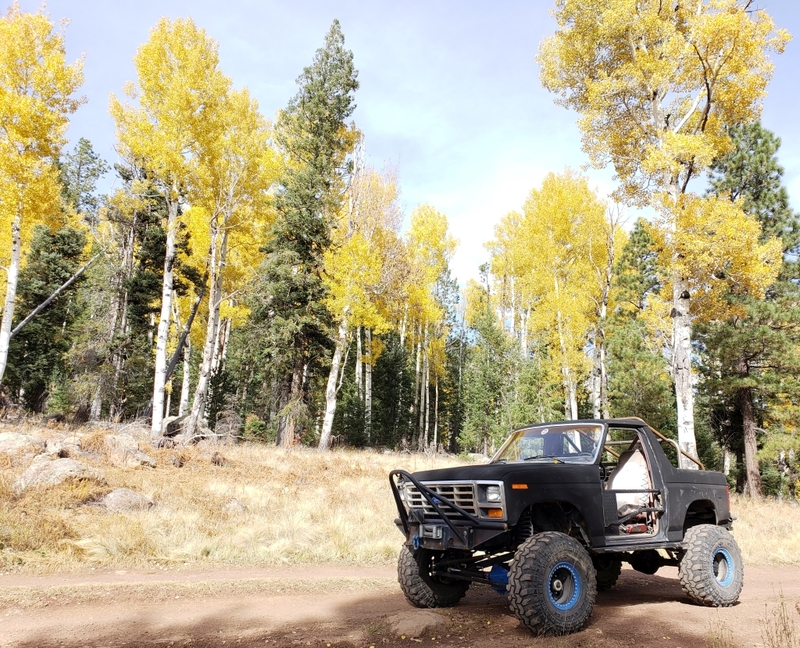 My Bronco’s greatest stories aren’t about a new lift kit, axel swap, or a weekend trail ride, but stories from two decades past, and about chasing drug smugglers, stumbling across the Mexican military with rifles, laying in to intercept illegal border crossers, and rescuing people in desperate need. This is stuff that REALLY happened, and was amazingly intense and serious, and occasionally altered people's lives forever. 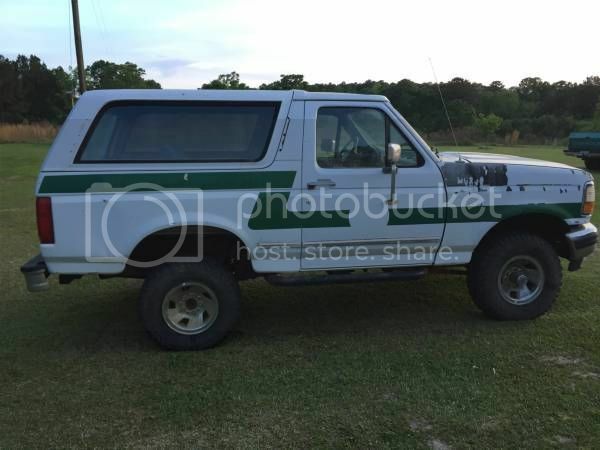 I’ll attempt to tell some of those stories, along with the more recent one of how I searched for years to find this Bronco, rescue it from certain destruction and bring it back to life, as well as what the future holds for us both. 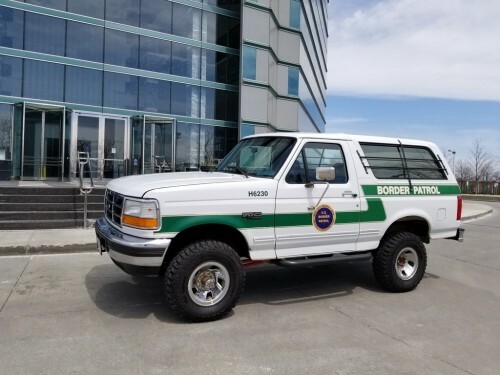 My ride is truly a work-in-progress, with the end goal of preserving a bit of Bronco & USBP history. Thanks & I look forward to this end-of-year thread of awesome stories and photos from everyone! 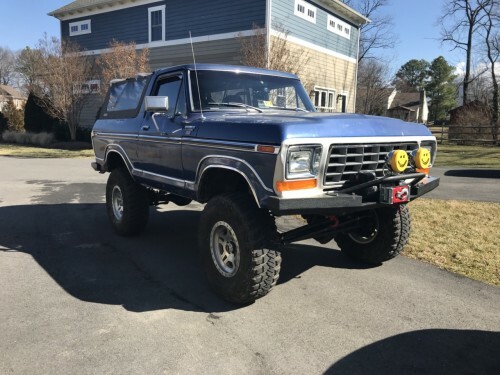 But the Big Bronco still gets to run around town for parts runs! Here is how things turned out…. 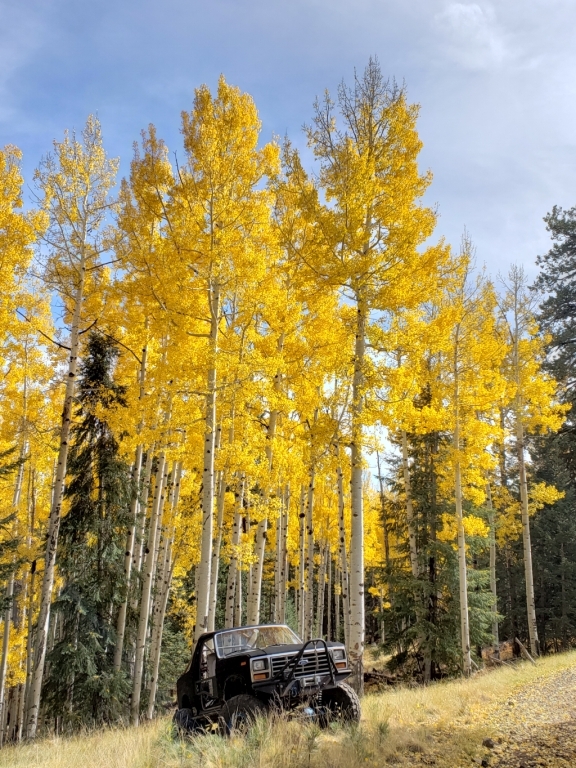 The 86 is my coil sprung trail rig, the little brother got leafs, if for no other reason I could compare the difference for myself. So many internet opinions out there, I needed to see for myself. The dovetail rear sure helps with these poser shots!! Off to a great start! Very excited to enjoy the show! Happy Friday to those that consider today the start to the weekend! 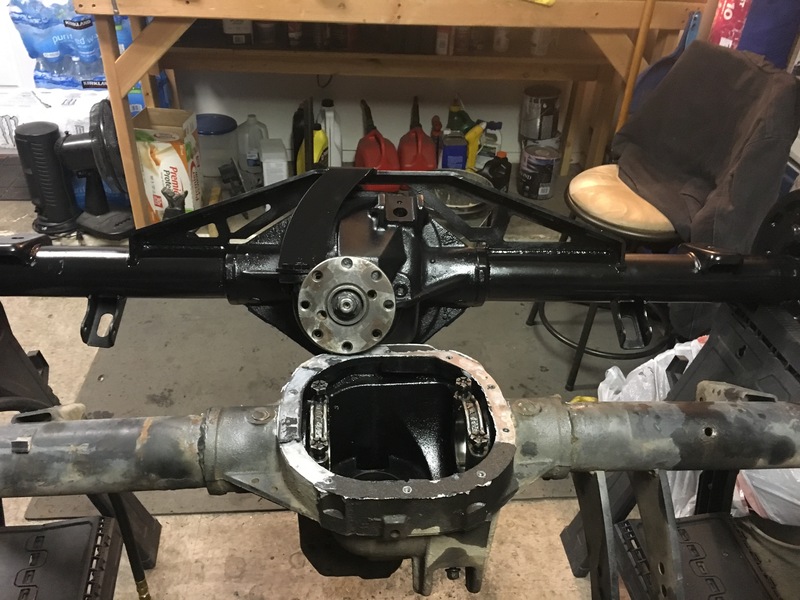 So any who, once the rear end was trussed up and straightened it was time for assembly. 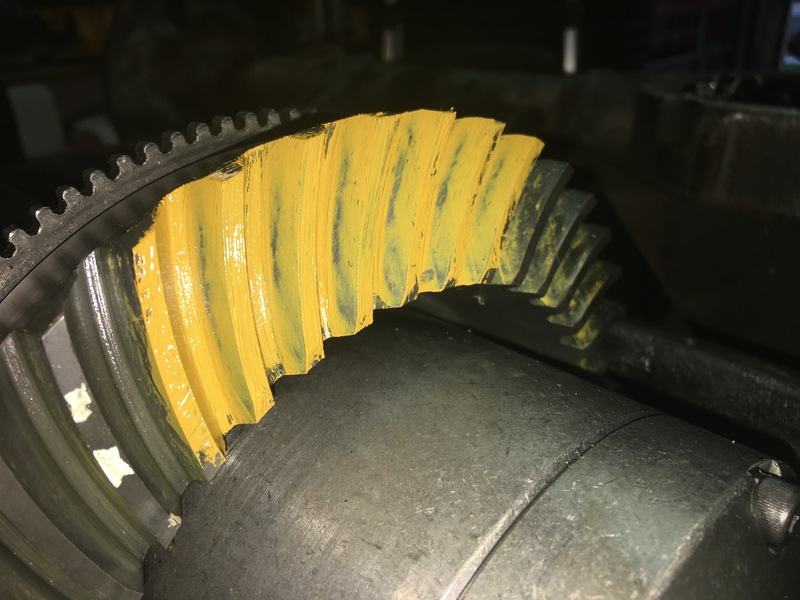 I reused my gear set since it really wasn't old and thought maybe a strike of luck would hit and wouldn't need to do anything to my ring and pinion.. eeh not the case here, ended up pulling out a ton of pinion depth to get my patterns ideal but after a while I had it right where I wanted and called it good. 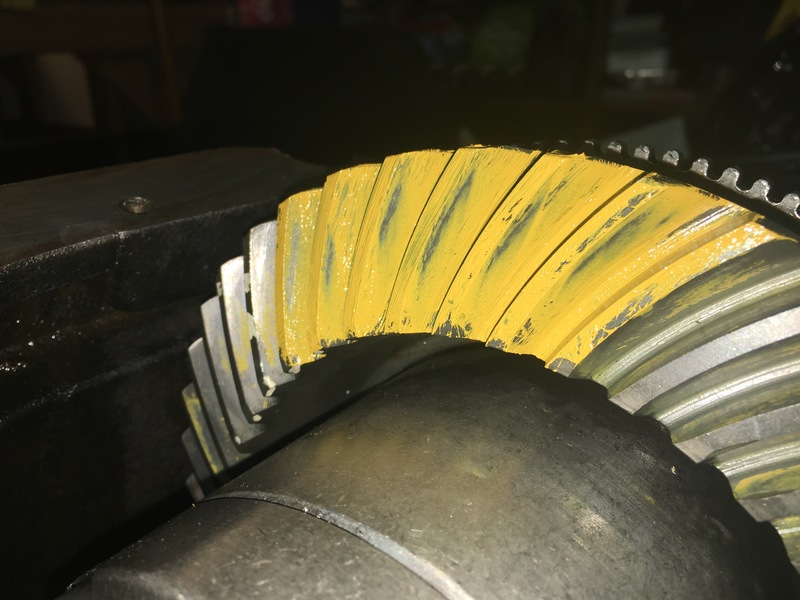 This used set did show me the abuse and wear from its pattern but all and all is still in good shape and not making any noise from the rear. The lash showed me 10-14 thousandths all the way around so we are in good shape also within spec. 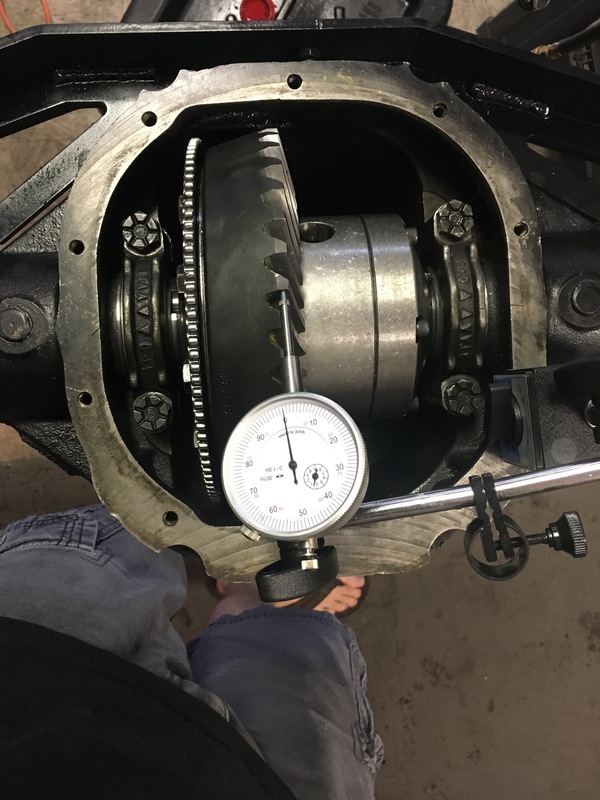 Once the pinion preload was done 14"-20"lbs and backlash verified one more time, its on to the rest of the assembly, pretty much just axle shafts and some fresh new brakes. The hardware was all replaced at the drums and painted to prevent further corrosion. Thats all for tonight, I hope that these DIY posts help somebody. For anyone else doing this procedure, you need to add more preload to the dial indicator. That way it has ample up AND down travel for accurate measurements. 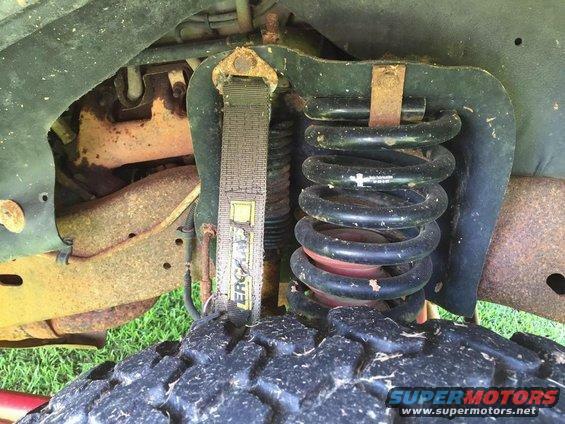 It's much like a shock absorber: you need up and down travel for it to guarantee proper movement. Otherwise, carry on fellas! Gonna be a good competition! JGR and SRWillis like this. The first government vehicle assigned to me was a 1994 Bronco, dirty and dented, and I shared it with one of my academy classmates & best friends, who worked the midnight shift. New agents were lucky if they had an assigned vehicle; the alternative was to check out a ‘pool vehicle’ for your shift, and they were by far the worst ones in the fleet. 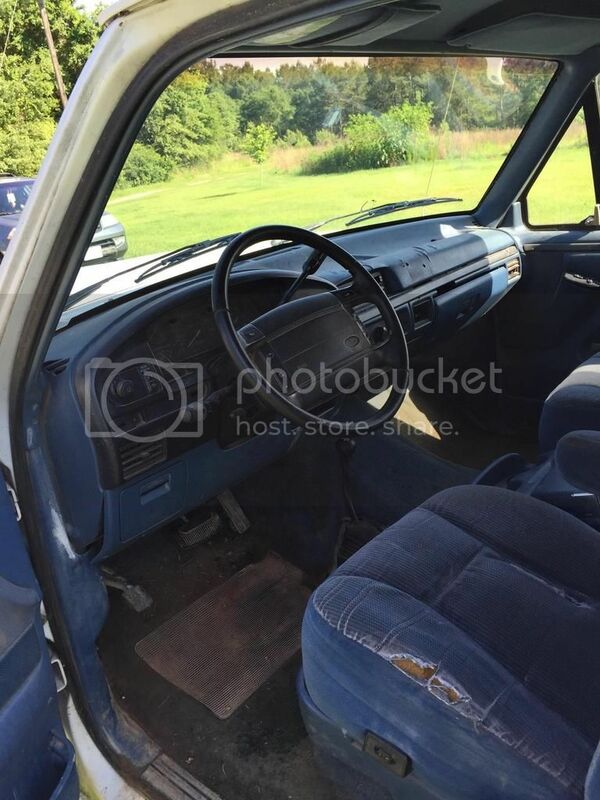 Like, spit cups left in the console, sunflower seeds all over the dash & floor, chicken bones under the passenger seat, and constant driving on dusty roads with all the windows down. No, you didn’t want a pool vehicle. Lol! Sometime around 1998 and after Broncos were discontinued, the government started buying 2-door Chevy Tahoes and many of the senior agents jumped at the chance to have a brand-new Tahoe and gave up their Broncos. 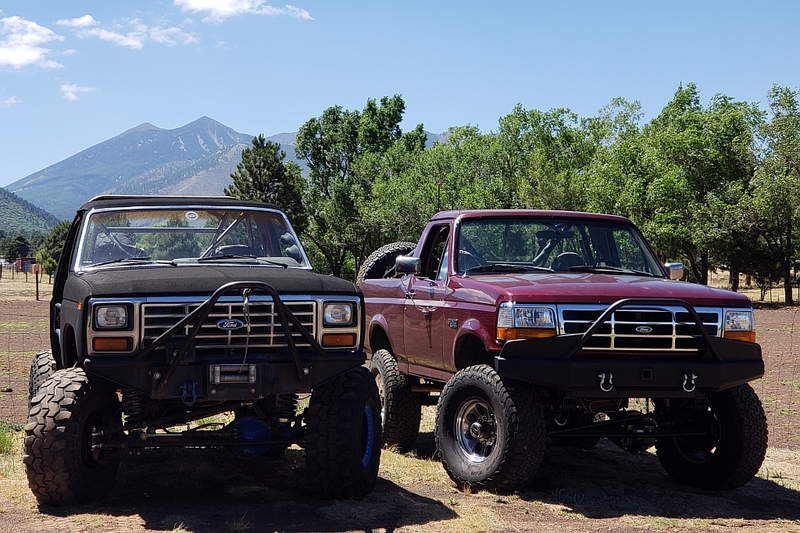 My vehicle partner & I moved up to a ’95, and later a ’96 Bronco. 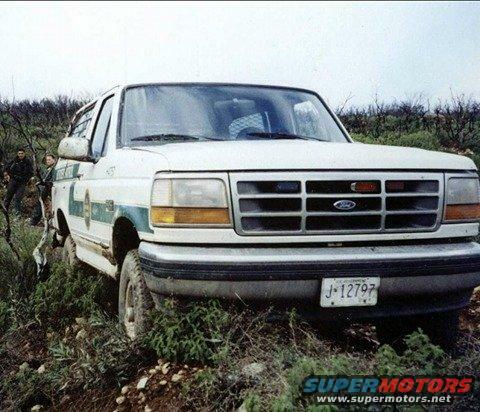 While neither of us was a Ford loyalist, the government Broncos were (for some unexplained reason) XLT models. 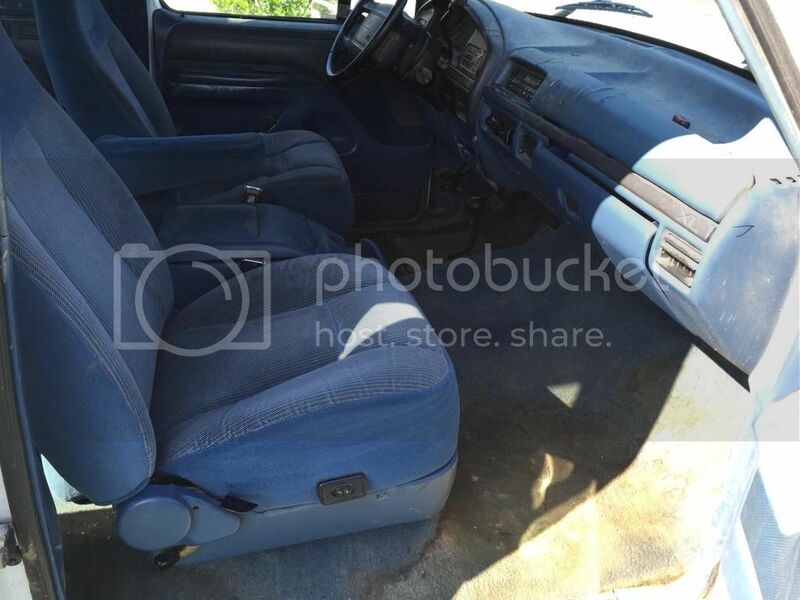 My buddy & I both liked having cloth seats, carpet, and power windows more than the new Chevys, which had rubber floors, vinyl seats, and manual windows. 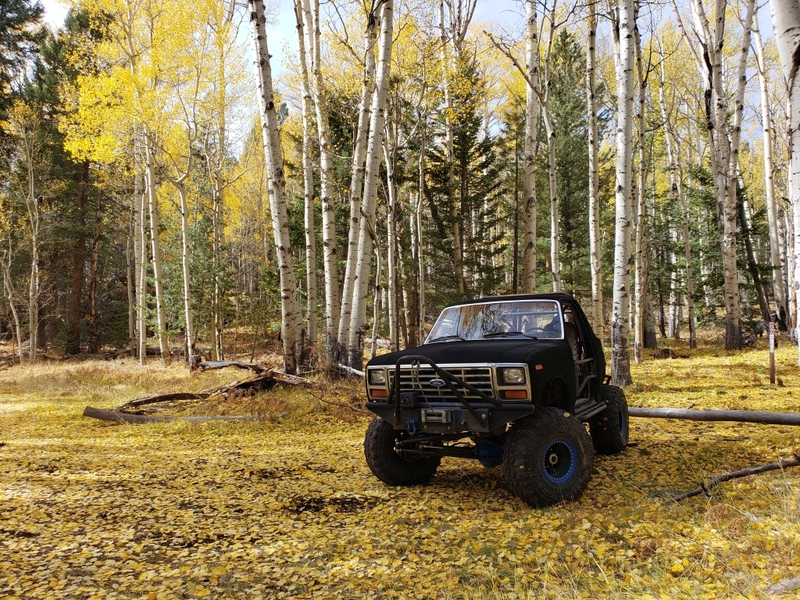 Plus, the Broncos were MUCH better off-road. 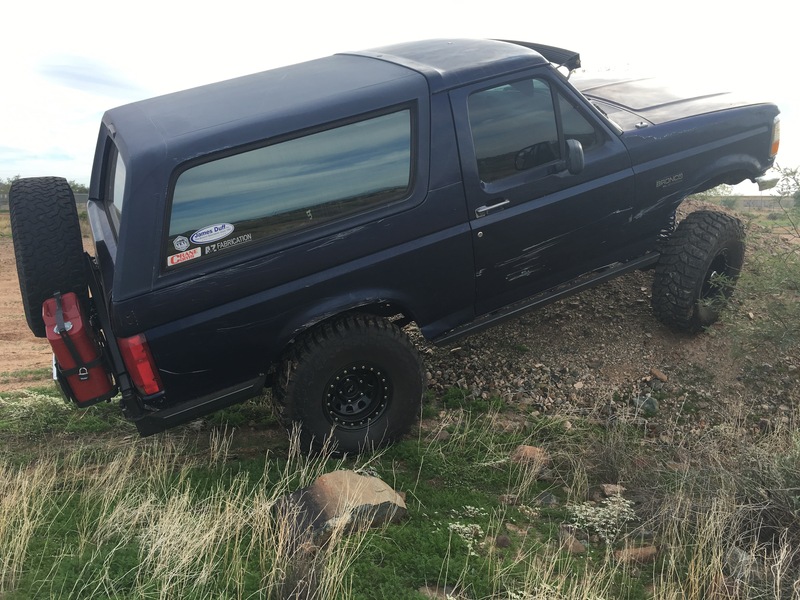 So in a way, I guess the Bronco earned my loyalty early on. 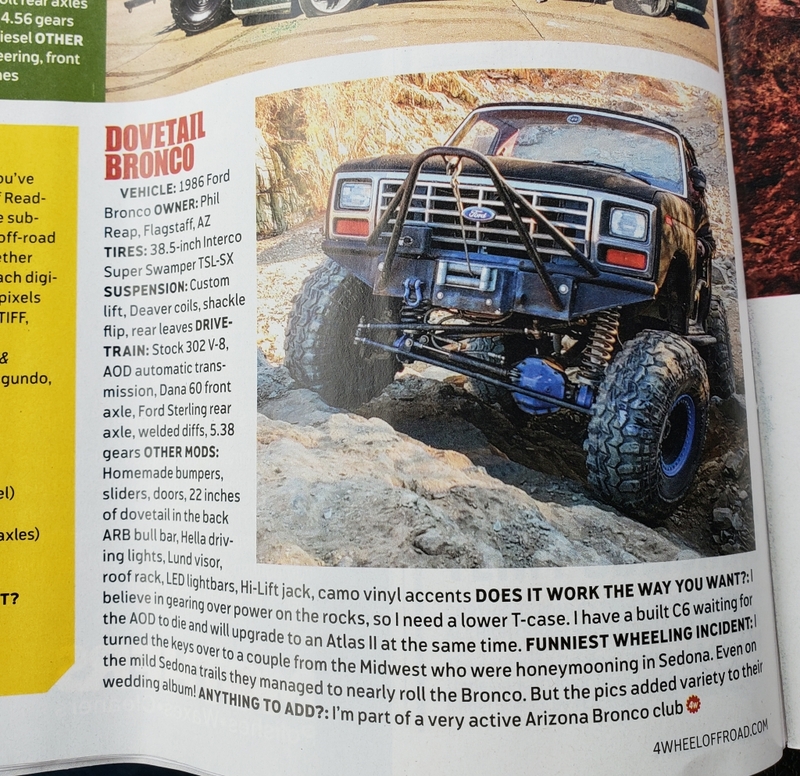 Now I have to point out that a brand-new Tahoe had considerably less rattles than a 3-4 year of Bronco that had spent all of its life off-road. Still, the Broncos were better vehicles. I drove mine for as long as I could, but eventually had to give it up when I transferred to a different office. The first 4x4 I owned was an ’81 Jeep that I dropped a hotrod 360c.i. AMC engine into. Great fun, with horrible dependability and mileage (I was a struggling college student). So yes, I went through the Jeep phase. 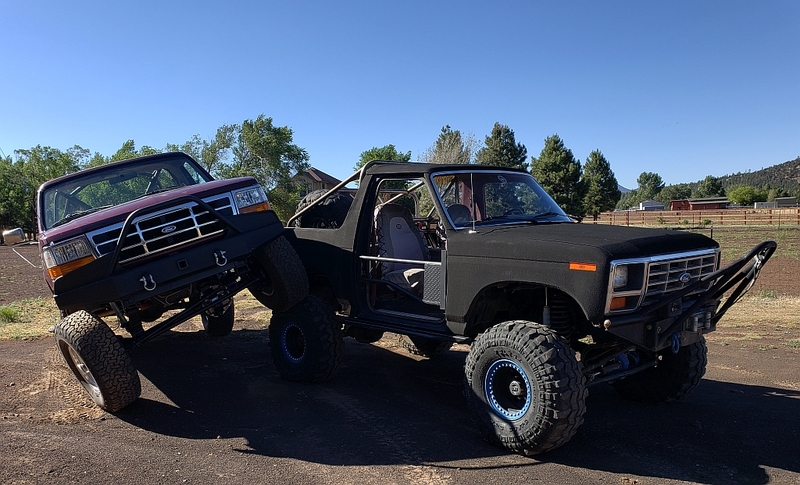 A few years later, I traded sideways for a Bronco II (don’t laugh), which I actually liked. But that was sold & replaced with a truck. Later, I thought I hit the big time when I bought a nearly new Jeep with air conditioning (gasp!) 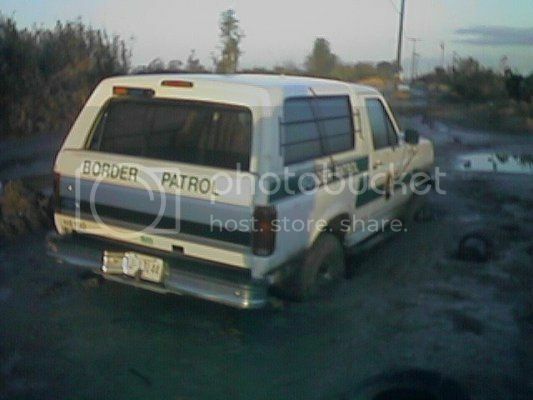 which was my personal vehicle when I started my Border Patrol career at age 30. 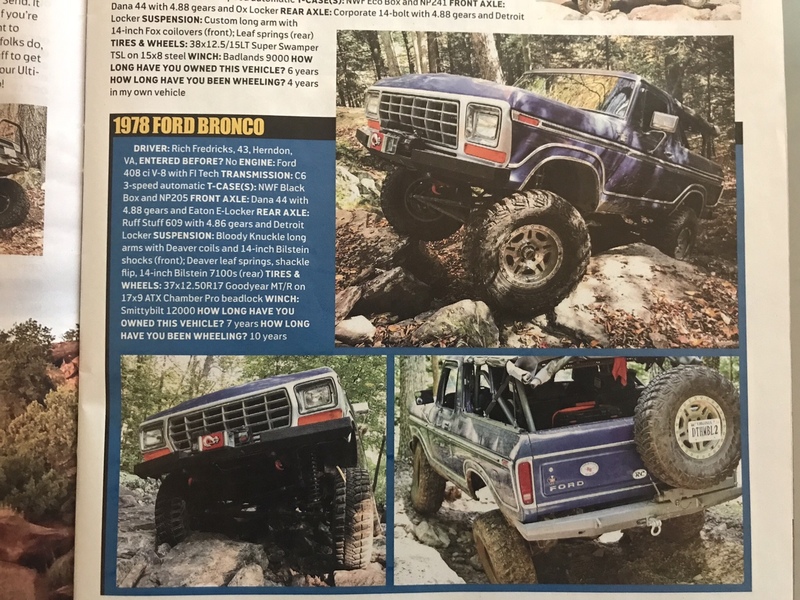 When I first started driving the full-size Bronco, I was extremely impressed with how comfortable it was, and how capable it was off-road. It was much better on both counts than my Jeep. 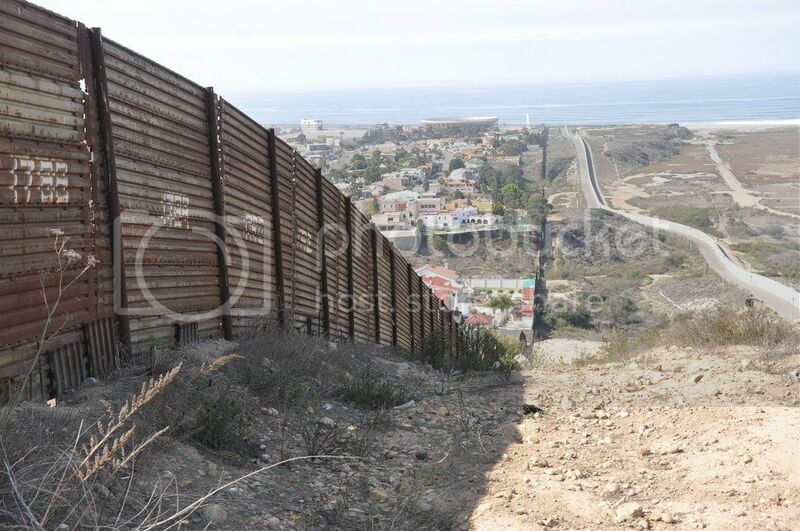 The terrain along the U.S./Mexican border in San Diego is mostly rocky with a red dirt that turns into slick clay when wet. It varies from a few flat fields to thick canyons, and eventually turns into mountains as you move from east-to-west. In the famous southern California rainy season, the whole area was a slick, muddy mess. Those Broncos had a rough life, and the government was determined to squeeze every last bit out of them. 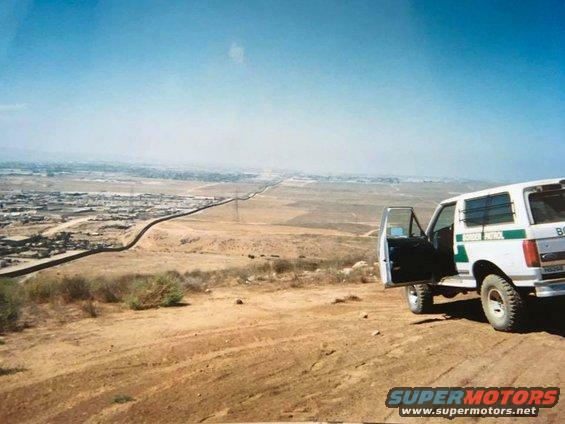 Border enforcement wasn’t a top government priority in those days, and there wasn’t always money for new replacement vehicles. Which is why some of these Broncos were still in the field until as late as 2002. One of the interesting things that happened during the rebuild was that the military mechanics would cut the core support and bend it slightly to give them enough room to drop the new engine/trans in the chassis. This one showed those scars; the core support was cut & welded back after the rebuild. 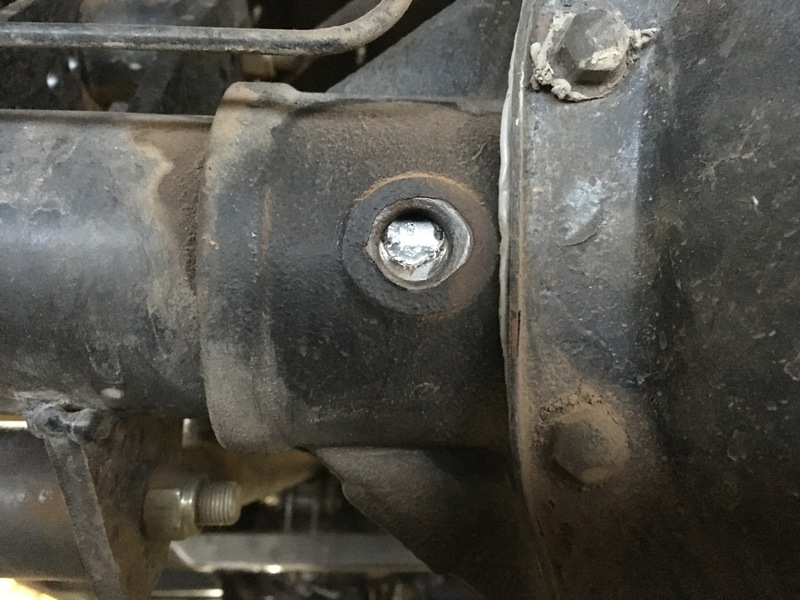 Not only was it an ugly repair, it was also a PITA because the core support was cracked at the welds when I got it, and it just got much worse over the last few years. 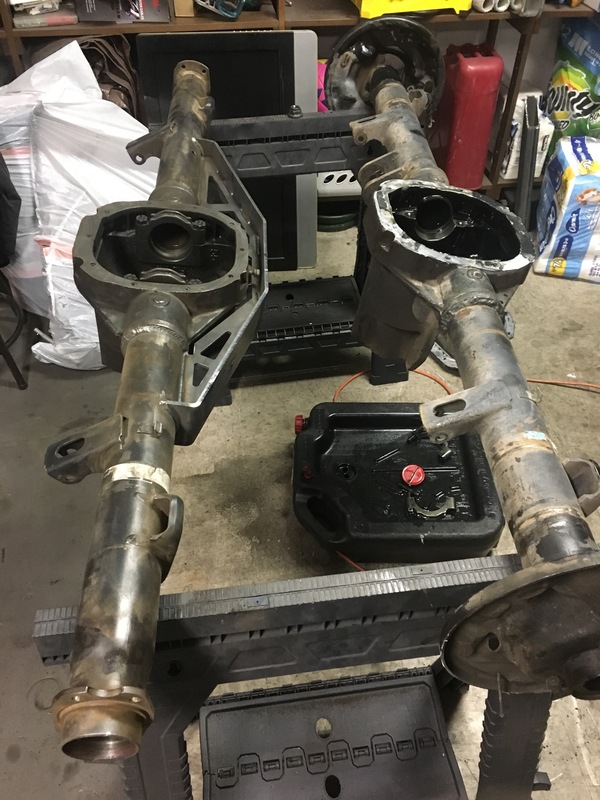 Last week I pulled the front end off & finally repaired this mess the right way (more about that later ). 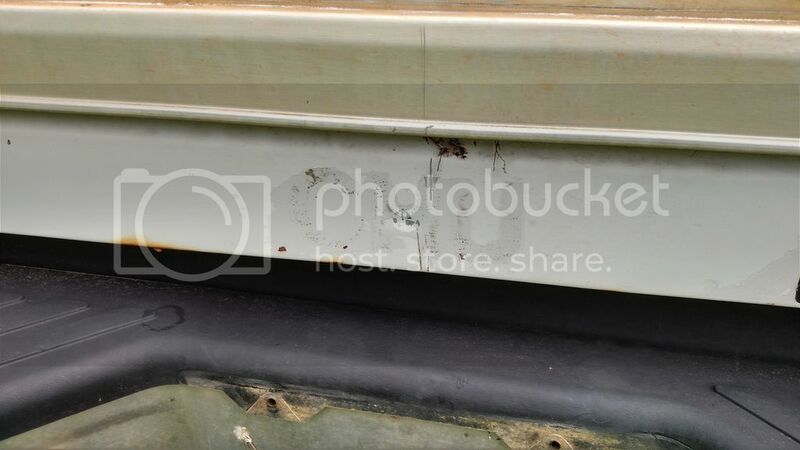 My truck, fleet #H6230, found itself in Mississippi, and while I don't know exactly how it was treated, I do know that it went thru two owners, both of which used it as a “hunting vehicle”… which means it was beaten a lot and didn't see much love over the next 10+ years. That fact was evident when I first saw photos of it, but even more obvious when I saw it in person. Great start gentlemen! Looking forward to the coming weeks - all worthy rigs! 99% of the content I want to share for the contest is on a desktop that isn't hooked up yet (we're tiling our office floor). So, until I get that hooked up this week, he is a video from last weekend coming home from the mountain. There is a rock garden at the base of the trail and I couldn't resist testing my sliders! Before anyone gives me crap, you'll see the cage jump because it isn't bolted in. I'm not real happy with the aesthetics of this cage and am having creative 'writer's block' on what to do with it to make it look better. I might just pull it out for now. 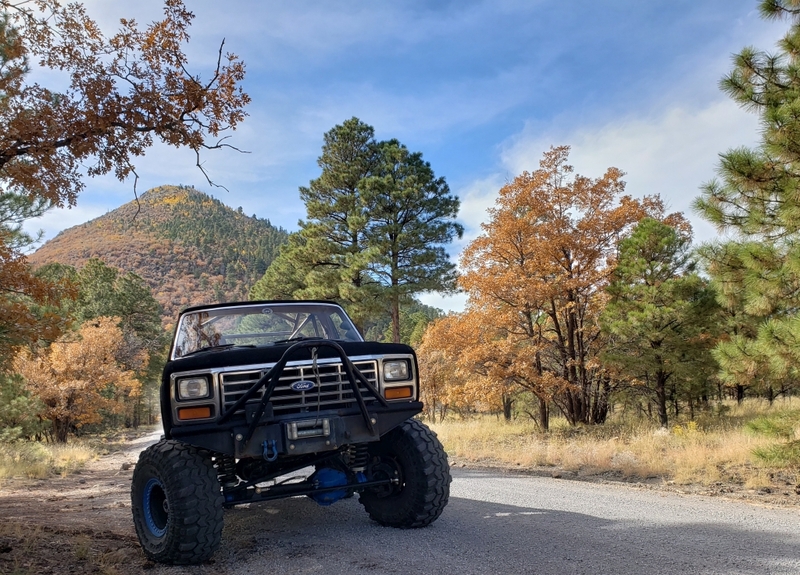 About eight years ago, I started thinking about the old Broncos that I drove along the border, and that it would be nice to find one. About the same time, I met a group of local guys in the Chicago area who own & restore vintage police cars, and went to one of their events. As soon as I saw that, I was hooked! 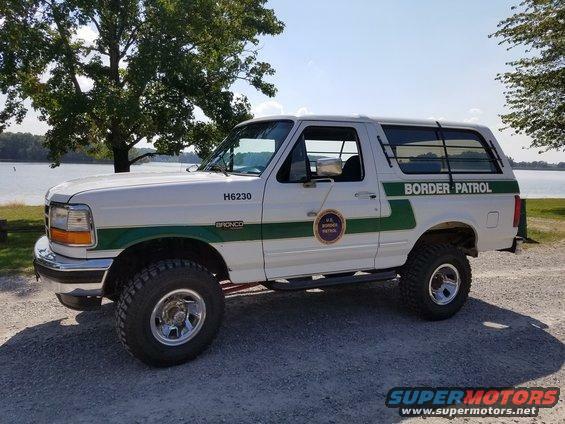 So I started looking for a Border Patrol Bronco. Two years later, I joined this forum, and was still searching. 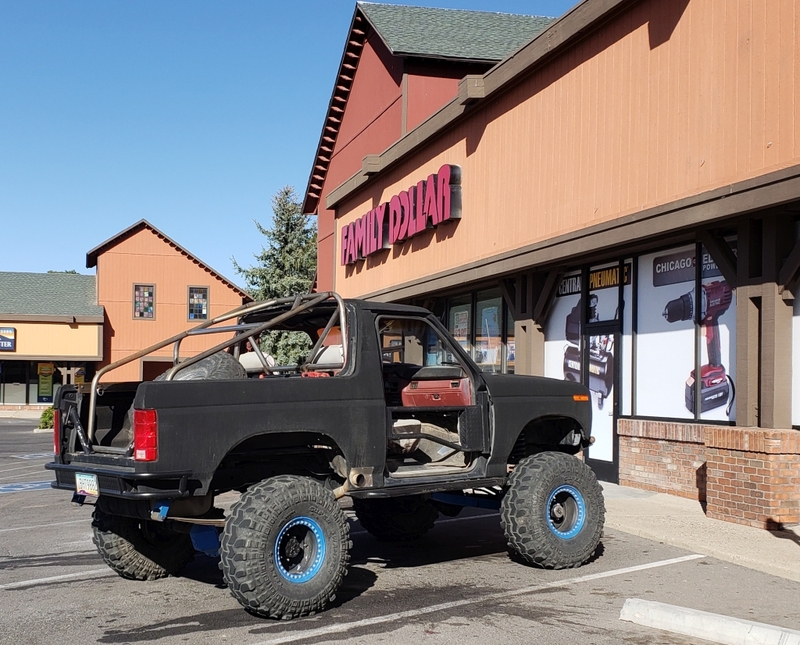 I did find two, but they weren't for sale and almost entirely unrecognizable with extreme modifications. I began to think there just weren't any left that could be saved. I was just about to the point of "cloning" one; making a copy of an original using a decent donor. Honestly, it would have been cheaper going this route, but it wouldn't have been "right." I didn't want to duplicate something. I wanted to preserve a piece of real history, even if it only was significant to me and a handful of friends. I knew I'd never be satisfied with something that just looked the part, but didn't have the soul and spirit. So I kept looking for my war horse. 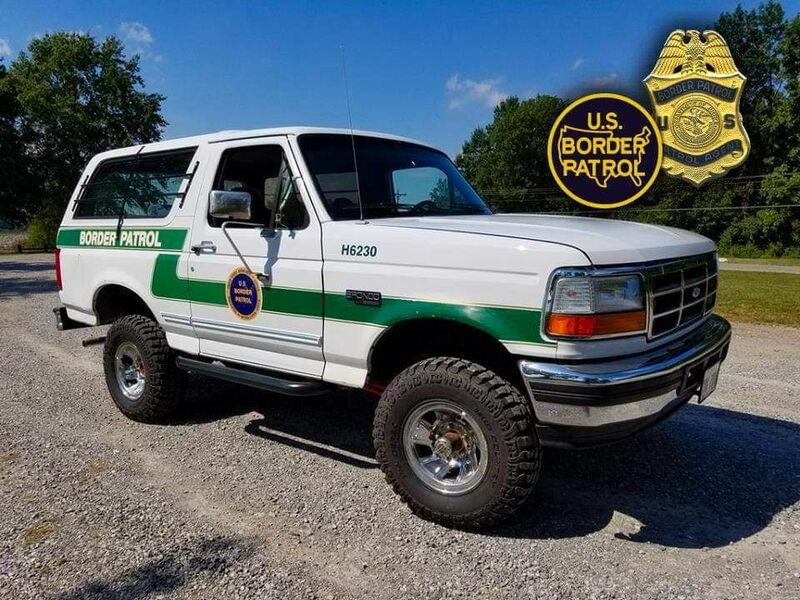 My lucky break came from a posting on a forum for federal agents, when someone mentioned a month prior, he had seen an ad for an old Border Patrol Bronco on Craigslist's Mississippi site. I was told it still had the green stripe and was $2500, but he didn't remember much more. 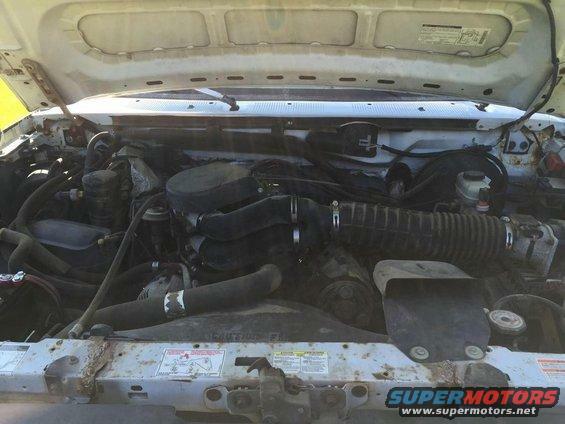 It didn't take long to find the ad online, although the price had dropped to $1500. I called the guy and we talked about the Bronco & the condition. He texted several photos, and when I looked at them, I was thrilled to see the ghost outlines of the old decals, including the fleet number and the 3 letter code which designated the station it was assigned when it was in service. It wouldn't have meant anything to anyone else, but I was completely stunned when I saw the H6230 on the fenders and CHU on the tailgate! But it was rough, and I was under no illusions. I knew it was going to be a project. These faded outlines are what really sealed the deal for me. I IMMEDIATELY recognized the fleet number and station code! 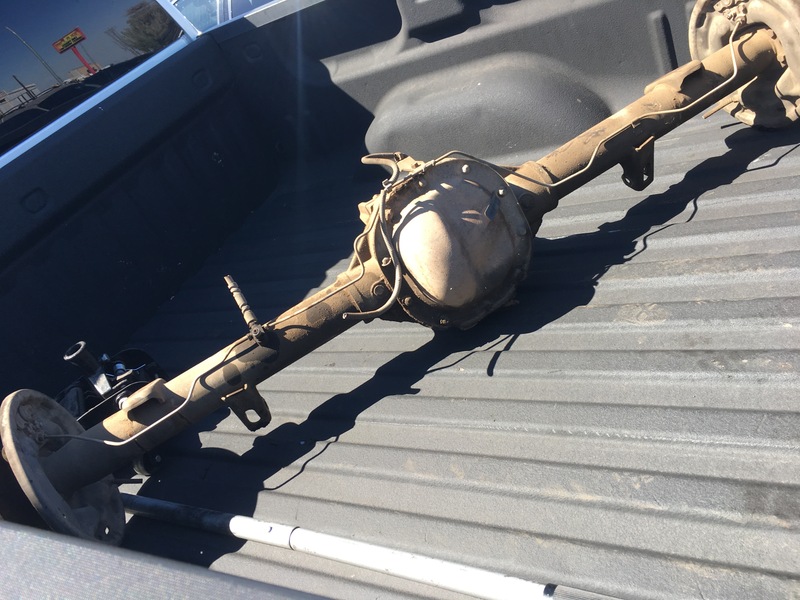 I called the seller back and told him that I'd take it, but I needed him to hold it for a few weeks until I could get there to pick it up. He asked where I was coming from, and when I said "Chicago" there was silence on the phone for a moment. Then he slowly said "... well, I'm going to need a deposit." I chuckled and agreed to send him half now, and the other half when I picked it up. It's curious how the money makes things work easier. A check was sent the same day, and a week or so later, he sent me the title. Now I just had to get a truck & trailer and drive the 800+ miles to get it. Hello fellow Bronco Friends… Fist of all I want to say thanks to the one who voted for me already, very humbled. BikerPepe`, jermil01, miesk5 and 7 others like this. Sorry to hear you cant make the competition @RicksBroncoBeast , see you out on the trail in due time Im sure! 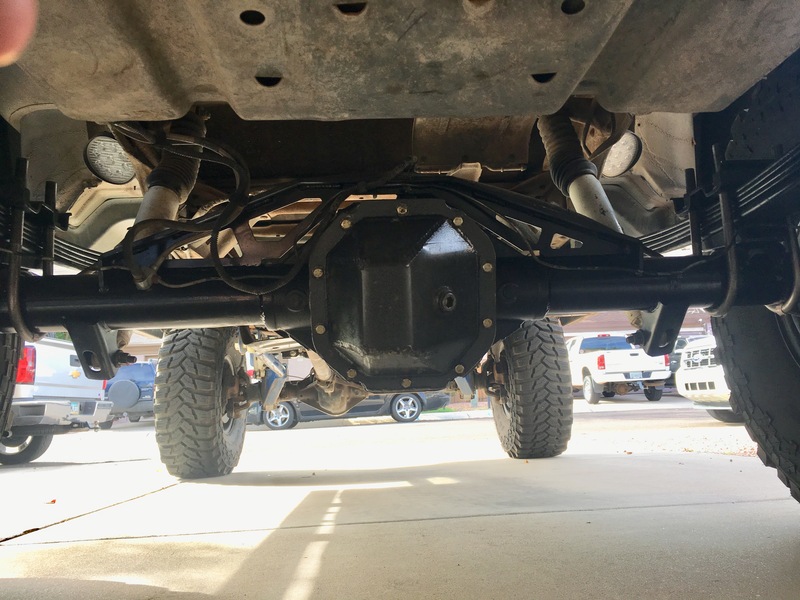 Okay so in addition to wrapping up a fresh rear end it was time to revisit the rear suspension, being on a budget this year I had found a set of leafs from a local wrecking yard that had some work done, it was obvious they had been arched. Prior to starting the new rear end I put these new/used leafs in and removed the 2.5" blocks and anti wrap bar, the ride was outstanding but the performance had room for improvement. The leaf pack was 5 leafs so I had just removed 1 of the 5 that was 1/4" thick, it drastically improved performance and didn't kill the ride! 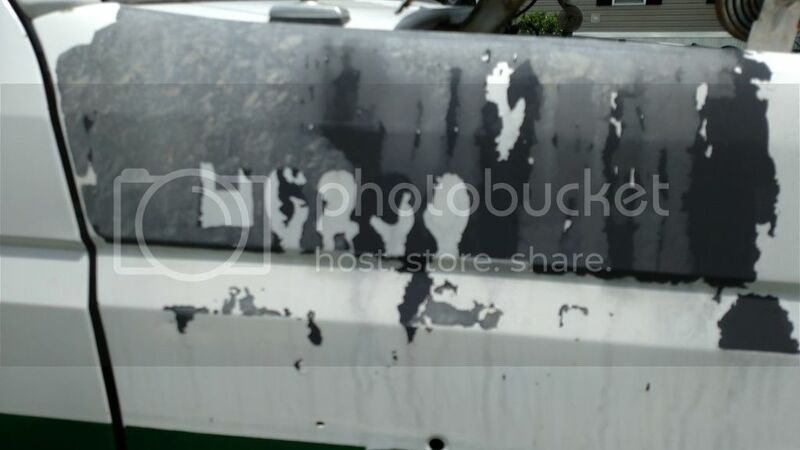 I dont have any pictures but the leaf packs where torn down cleaned up, lubed up and reassembled. 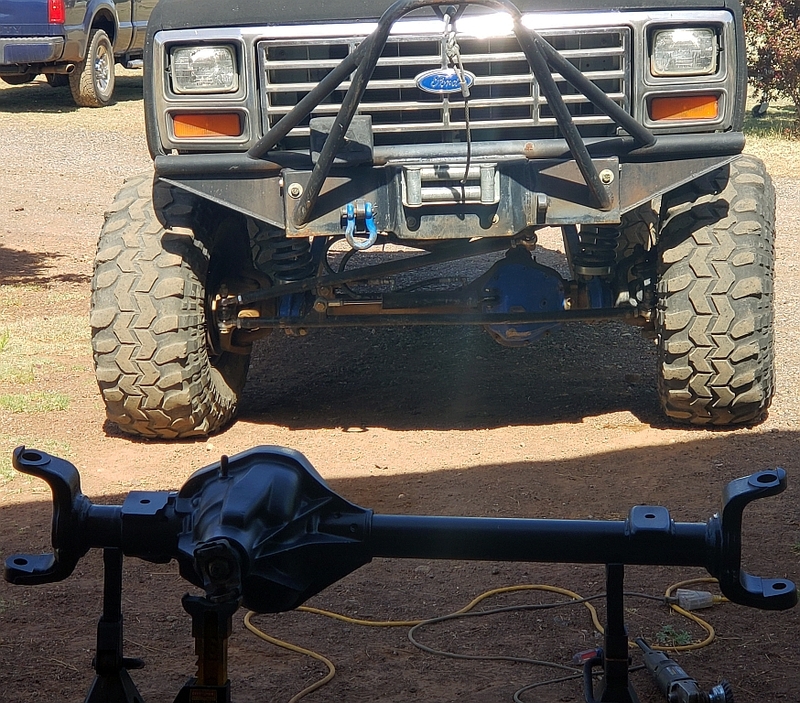 Now its ready for the new axle, the Ubolts are now upgraded to 5/8" as well. 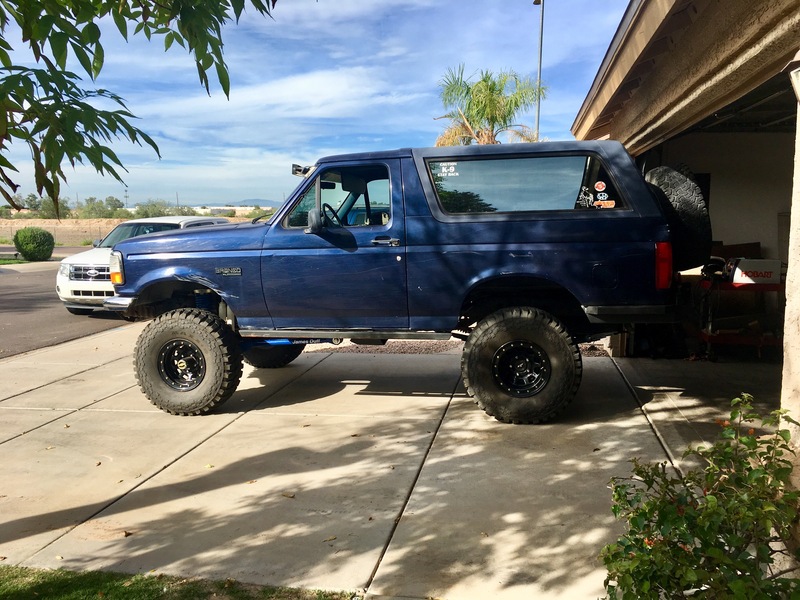 Finally its time to get the Bronco out of the garage! Funny, with the tires aired down it can driven it in and out of the garage but the garage door seal drags all the way across the top. 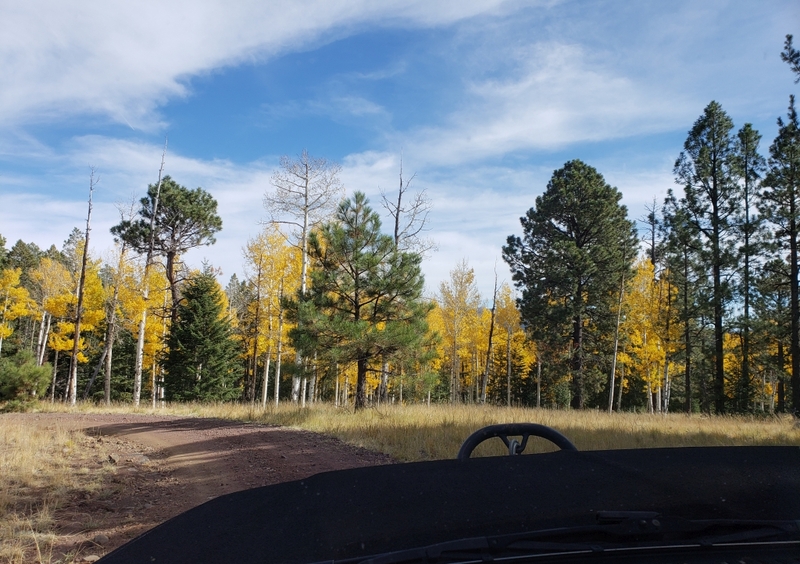 Time for a little test drive, nothing spectacular but not far from the house we have some open desert and mounds of rock or dirt dumped no 4 wheel drive needed here just get to see that I'm getting the full range of travel with the new leaf setup.